Frantoio Antonacci, in the area of San Giovanni Rotondo (FG), is located at the foot of the Gargano in an area where the hot and dry climate, the subtle variations in temperature and the perfect amount of rainfall – with the highest levels seen during the autumn-winter period and the lowest during the summer – encourage the spread of the cultivation of olive trees and the production of an organic extra virgin olive oil that is amongst the most popular in the world thanks to its unique and excellent organoleptic, nutritional and health-giving qualities. The particular microclimatic situation also blocks the development of the biological cycle of the damaging olive fruit fly (Bactrocera oleae), making the “Matine” area (as the area of land home to the olive groves that provide Antonacci oil is known) particularly suitable for organic farming, which entirely forbids the use of synthetic chemicals (fertilisers, herbicides, fungicides, insecticides, pesticides in general) and genetically modified organisms (GMOs). 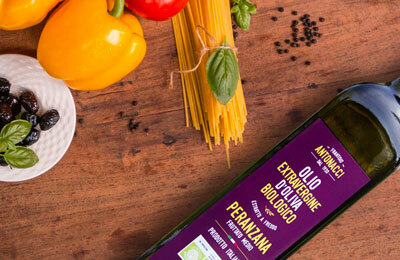 The main cultivars in our region are “CORATINA”, “PERANZANA” and “OGLIAROLA GARGANICA”. 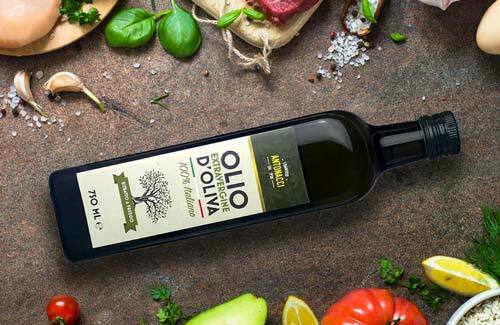 Ogliarola Garganica is an endemic cultivar typical of the flat land on the slopes of the Gargano whose fruits ripen quickly, providing a delicate oil with a lightly fruity flavour. On the palate, you can perceive a pleasant softness, with light and balanced notes of bitterness and spice, all well-proportioned so as to remain harmonious. 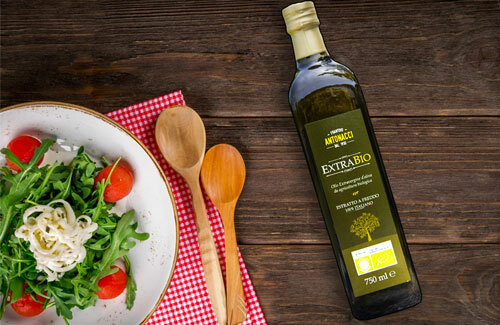 This oil is perfect for anyone looking for a delicate dressing that is not too strong, yet at the same time aromatic and flavoursome. 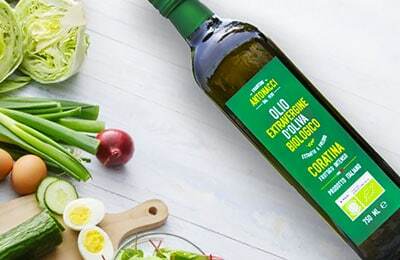 ExtraBIO Antonacci is an organic extra virgin olive oil with a lightly fruity flavour and golden-yellow colour with definite notes of bitterness and spice which, however, take a back seat to the delicacy lent by the careful selection of olives exclusively from Gargano. It leaves hints of freshly-mown grass and ripe tomato on the palate. Its fruitiness and almond notes make it perfect for those who love an oil with a strong character, yet not excessively so. “CLASSICO” Antonacci is an extra virgin olive oil (not organic) with a lightly fruity flavour and golden-yellow colour with a sweet taste and with balanced notes of bitterness and spice. 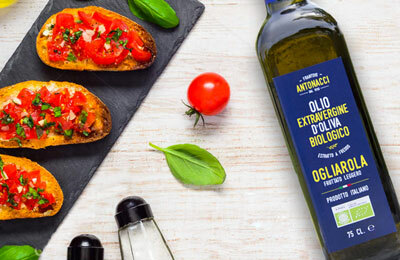 This oil is a balanced blend (mostly Ogliarola Garganica) and is perfect for anyone looking for a delicate dressing that is not too strong, yet at the same time aromatic and flavoursome.